After a very dry 2014, the month of December gave us some much needed precipitation. While it was mostly rain in the low areas around Mount Shasta, the snows have finally descended on the high country. Despite the drop in temperature, this does not mean that hiking is no longer a viable activity in the area. On the contrary, there are several fantastic trails that can be hiked this time of year. With the weather looking sunny for the next week before more rain (or hopefully snow) moves in, this is a great time to review the trails that are generally accessible when the white stuff has smothered the alpine trails. Around Mount Shasta City, there are many trails that offer either great views or the opportunity to enjoy one of the area’s fantastic natural spectacles. Obviously Mount Shasta and the surrounding peaks will naturally draw attention, but the Sacramento River and many of its tributaries also offer fantastic hiking with rugged, beautiful and often historic scenery. These trails are incredibly convenient and are located either right on the edge town or just a couple minutes outside of the community. For convenience, scenery ease of hiking, these are tough to beat. Falling as it does in the rainshadow of Mount Shasta, the Shasta Valley is an obvious destination for hiking in the winter. With less precipitation, it is unlikely for any of the trails to be covered in snow for more than a couple of days after a major storm. This is a great blessing for hikers looking to get outside in the wintertime. 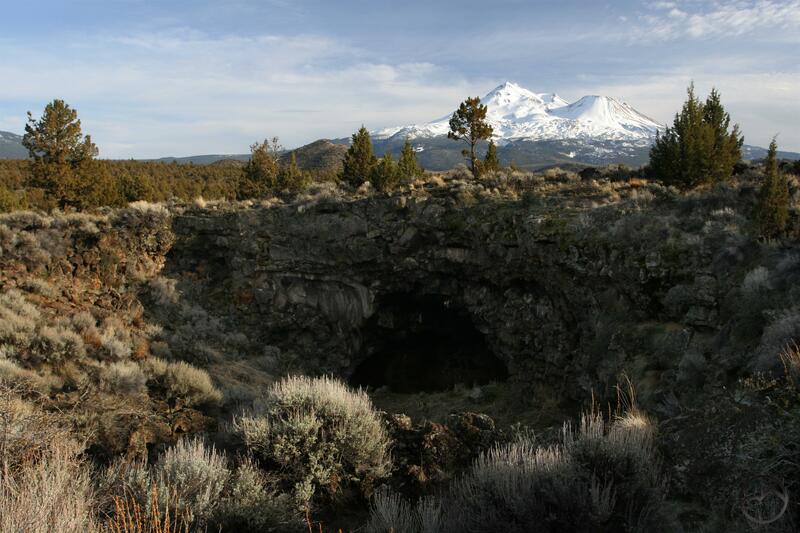 The juniper and sagebrush flats are punctuated by lava flows and small volcanic domes. While the terrain is interesting and a great change of pace from the pine and fir forests that are ubiquitous in other parts of the region, it is the epic views of Mount Shasta’s glacier clad north face that is the highlight of these trails. The Sacramento River lies low enough that it often escapes the worst of the winter snows, leaving the trails available to hikers looking for some beautiful riparian scenery. Though there are not many trails along the river, and those that there are are not long, the trails are still good options for winter outings and can fill the void many of us need for natural settings until other, high trails become available. Although many of the trails in the Castle Crags are high enough to get substantial snow, they are often still available during the winter. This is especially true of some of the paths that wind through the Crags’ lowest reaches. Some judgement should be exercised when considering a winter hike in the Castle Crags. Admittedly, these are hikes that are optimal in the spring rather than winter. Nonetheless, these should not be completely avoided in the winter. Like the Castle Crags, the McCloud River is high enough that it can get enough snow to make winter hiking unrealistic. However, much of the winter the trails can still be accessible and the river, especially its three waterfalls, should not be avoided. This can also make an epic snowshoe trip! I hope that everybody had a great Christmas and that 2015 is a fantastic year for all of us. 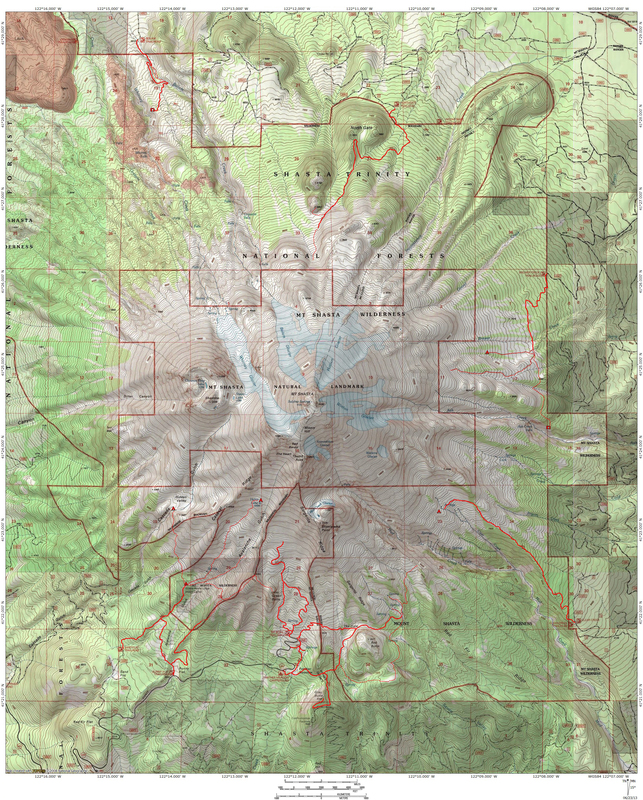 Thanks for reading HikeMtShasta.com! That photo is a beauty! Love seeing the snow on the mountain, finally. What a great idea to choose a trail in the rain shadow. I can’t believe I never thought of that for extending the season to hike without snow. I just hiked into snow on Mt. Hood and loved every second of it (it’s early in the Winter yet, ha ha), but there are times when it would be good to know there will be no snow, or less snow. Being a high desert buff, I love having the rainshadow so close. I wish there were more trails in the Shasta Valley to explore but what there is on this site is pretty much all there is available. The Nature Conservancy has a fantastic property along the Shasta River with great views of the mountain and some really neat riparian canyons but it is not open to the public. I wish they would share it with people. You are lucky to be so close to eastern Oregon. There are some spectacular desert hikes out there.